Soil Testing from UGA Center for Urban Agriculture on Vimeo. 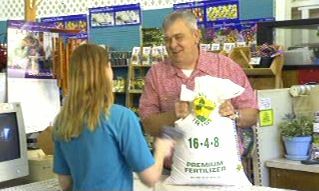 To know how much lime and fertilizer your soil needs for best growth of your lawn, garden, landscape, wildlife food plot, or other plants. Prevent from applying too much or not enough. Too much wastes your money and can damage the environment by running off into water. Not enough can result in poor growth and leave soils bare to erode. Where do I get sample containers, submission forms, and instructions for submitting my soil samples? 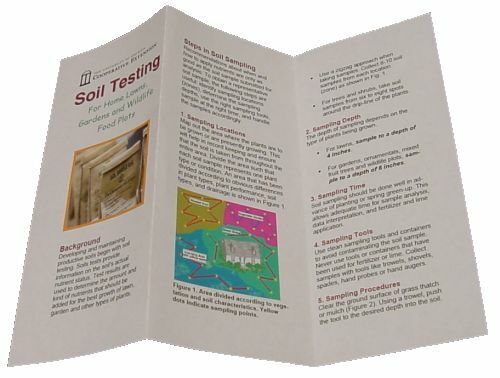 A Soil Test Kit is available to order ($15 - this includes postage paid mailer) by clicking here. Sample containers, submission forms, and instructions are also available from your local UGA-Cooperative Extension Office. You may also call 1-800-ASK-UGA-1 to contact your local Extension Office.